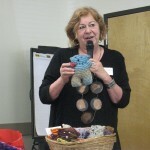 Northwest Basket Weavers Guild is hosting a Flo Hoppe weekend. She is coming to the Seattle area end will do 2 one day workshops on Saturday and Sunday May 3 and May 4, 2014. These will be held at the Maplewood Rock and Gem Club at 8802 – 196th St SW, Edmonds, Washington. Flo is a full-time studio artist, teacher, and author. She began her career in 1971 teaching herself basketmaking from a small booklet published in 1924. Her emphasis is on wicker basketry and Japanese basketry. She lived in Japan from 1968-1971, and on a return trip to Japan in 1994 studied with two master basketmakers. Her published books are entitled “Wicker Basketry” and “Contemporary Wicker Basketry”. She has also co-authored “Plaiting with Birch Bark” with Vladimir Yarish and Jim Widess. She teaches and exhibits worldwide, with teaching venues in England, Canada, Japan, Russia, and Australia. 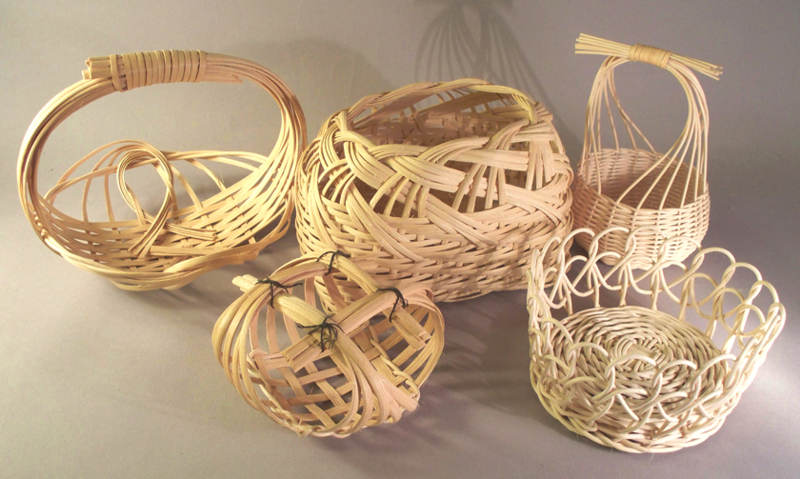 Students will weave 5 baskets weaving with several different techniques using both round and flat reed. Techniques include randing, twill weaves, false twining, and interlacing. This is for all levels of basket weavers. Brigadoon has an unusual variation of chasing weave. Tripled spokes are spread apart on each side of a central spoke to join with a single spoke to again make tripled spokes creating a striking leaf-like pattern. 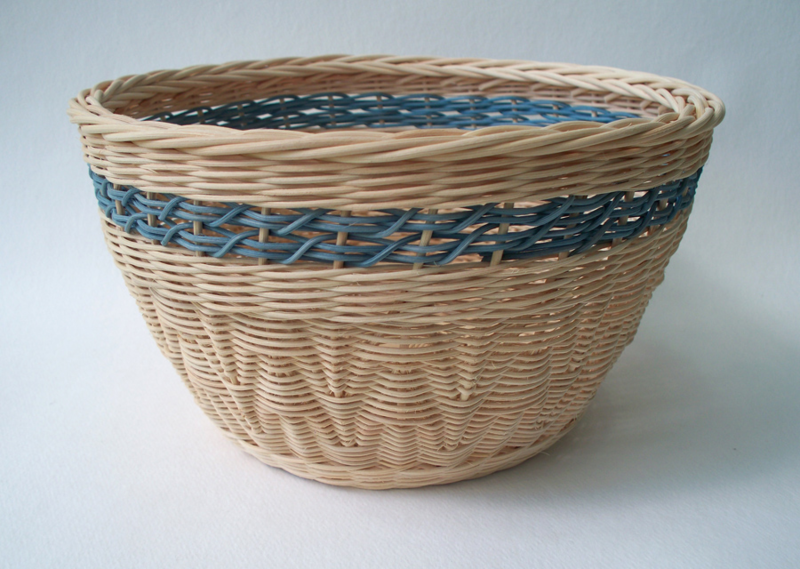 The top band of color is a combination of twining and randing that I learned in Japan from a master basketmaker. The border is a simple 3-row rolled border. For advanced basket weavers. Cancellation Policy: A full refund, less $20 processing fee.